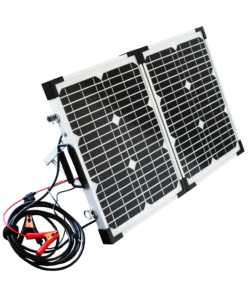 The POWERplus Python is a foldable monocrystaline solar panel with 2 x 20W output. The Python can be folded as a case and then can easily be transported in a protective case (included). With built-in charge controller with integrated USB output port.